Microwaves are low on the electromagnetic spectrum. The electromagnetic spectrum is a range of all the possible electric radiation. Frequency of a wave is the number of waves per second and the frequency of a microwave is between 300 MHz and 300 GHz. The wavelength of a wave is the distance from one peak of a wave to the peak of a following wave and a wavelength of a microwave varies from one millimeter to thirty centimeters. The frequencies range from ultra high frequency to super high frequency to extremely high frequency. The microwave was discovered by Heinrich Hertz and predicted by James Clerk Maxwell. In 1864, James Clerk Maxwell theorized about microwaves until he predicted equations that would prove the existence of microwaves. In 1888, Heinrich Hertz took these equations and used them in an experiment. He made an apparatus that produced waves and detected these waves. The experiment displayed the different wavelengths of certain waves, such as the short wavelength of microwaves. The discovery of microwaves permitted it to be used for commercial purposes. Microwave ovens are the best example of a commercial usage of microwaves. Microwave ovens use microwaves at a frequency of 2450 MHz. 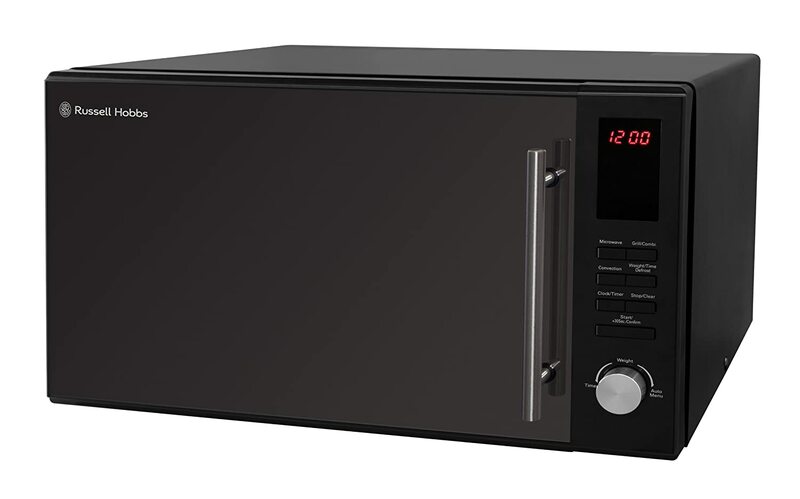 The Microwaves travel and cause the water, fat, and sugars to vibrate resulting in the food’s temperature rising. This type of energy is called Dielectric energy. This benefits the food making process and anyone who buys TV dinners. Another instance of microwaves is cell phones. Cell phones use an antenna and a little transmitter to connect to the microwaves emitted in the air. To make cell phones more attractive for buyers, they minimized the transmitters and antennas. The microwaves used in phones make it possible for a person to receive calls from any location, this is especially important in emergencies. Broadcasting transmissions, such as cable TV and the Internet, use microwaves to transmit the signal in order to broadcast. These two sources that use microwaves permit faster communication between all areas of the world. These two sources that use microwaves are the most popular ways of entertainment for most of the United States. The commercial industry benefits from these products that use microwaves. Current studies prove indecisive about the effects of microwaves. Microwave ovens can cause damage to the eyes. If a person were to press their face on the microwave oven, it can cause cataracts in the eyes. The best advice to protect against this effect is to stay a couple feet away according to Dr. Joseph Mercola. The most controversial issue about microwaves is if they have a hazardous effect on the brain through cell phone usage. Some people believe that having a mobile phone near the ear for a prolonged period of time will cause cancer, or a brain tumor due to the microwaves that are transmitted. According to the article “MIRROR, MIRROR, Fearing Rads, Cell Addicts Sprout Wires” in The New York Times, “No studies directly link cell phone use to brain cancer…” A piece of advice that most doctors would give to patients concerned with the microwaves form their cell phones is to only use it when necessary. However, studies have not proven anything that is accurate at this point in time, they are still in the process of being conducted. Microwaves allow the world to progress. They help people communicate faster and more effectively. Experiments are still continuing to figure out the real dangers of these waves. Microwaves are one of the most used waves for commercial uses. Microwaves surround our everyday activities.